Do you have a pair of boots from last year, or maybe even two years ago, that stood up to the winter weather well enough that you didn’t have to buy a new pair? That’s great (and at least you know you got great value for your money when you bought them), but sometimes styles change. 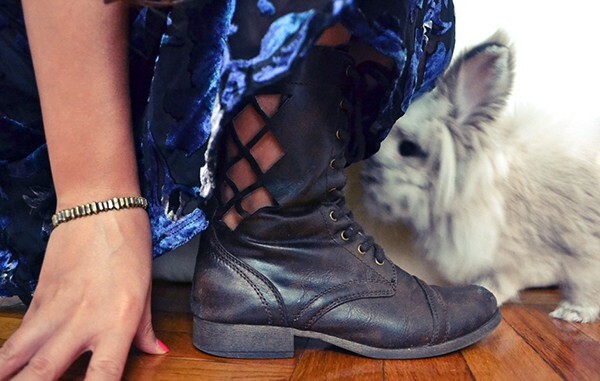 Rocking a new pair of boots is half the fun of fall coming, after all! 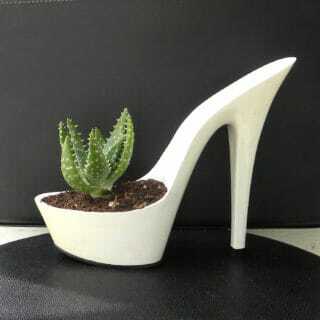 If the ones you have are great quality, however, there’s no point in wasting money on another pair that you don’t need. 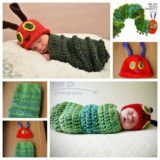 Instead, use your DIY skills to transform the ones you already have! 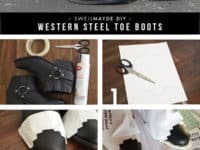 There are countless adorable little ways that you can embellish a good pair of boots to look differently than they did last year. We actually started looking into this project topic for ourselves but we had trouble choosing, so we thought we’d put together a list of the 15 best designs we saw to help you out too! 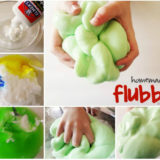 Category is: super easy DIY projects that have a great impact even though they only took a few minutes! This project really is as simple as just painting the toes of your boots with a durable all surface, fabric, or leather paint in a pretty chrome gold. You might choose other colours, but we love the way this one complements the leather. 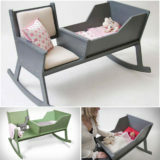 Check the idea out in more detail on Cut Out and Keep. Do you live in a warmer place where your boots don’t need to be insulated and water proof, but you still like to wear them because you enjoy the aesthetic it gives your personal style? Then this alteration is perfect for you! 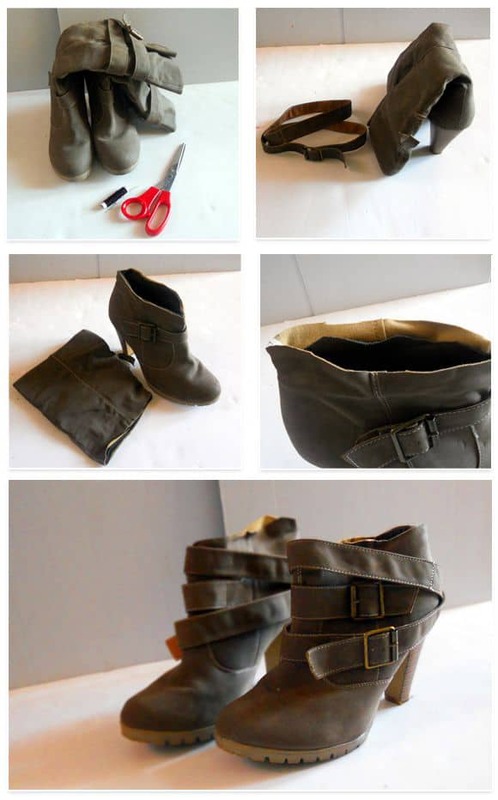 Try cutting out a pattern all along the back of the boot up your leg so it creates a peekaboo effect. All the Good Girls Go to Heaven shows you how it’s done. Maybe your black leather boots are already a style that you like in their construction but they’re lacking quite as much attitude as you’d like? Then spiked studs are the perfect DIY embellishment! We love the way Show Me Pretty placed them evenly along the straps, not too many at a time, just for some simple edge. 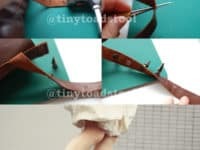 We already know that you own a pair of pre-worn boots taht you’re ready to work with, but if you can also find an old embroidered belt, then you’re in business! 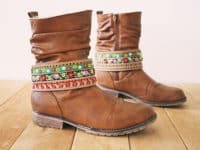 Bohomia shows you how to cut sections of the belt and attach them around the ankle of your boots to create intricate looking straps that give the boots a lovely Bohemian feel. Knee high boots were extremely trendy for a while, but sometimes it’s nice to change things up once you’ve worn a pair of boots for a couple years. We find the best way to transform our very high boots is to cut them down to size! 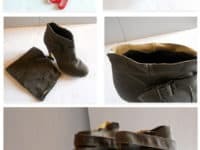 Made in Pretoria guides you through the process of shortening the material to create a sassy little pair of ankle boots that will look great with jeans. 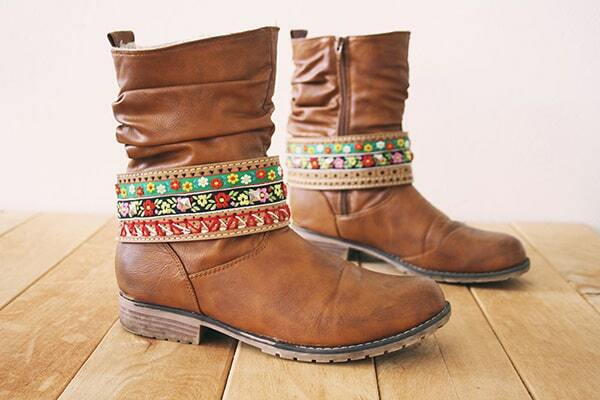 Do you like the idea of a Bohemian boot but the embroidered colourful version just doesn’t quite catch your eye? 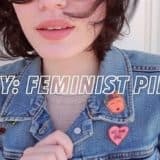 There are other aesthetics you can work with to make a Bohemian style too! We love this version that uses lace and leather thongs strung with buttons to make a more whimsical looking ankle strap than the other. See the creation process on Mom Spark. It’s never a bad thing to add a little bit of sparkle to your wardrobe, right? Glittery clothing, shoes, and accessories are particularly trendy right now so there are plenty of things you can buy in stores, but it’s always more fun (and usually more cost efficient) to make your own! We love the way Bags, Photography, Life & Moore used fabric glue and loose crafting glitter to create sparkly accents on the heels of these cute fall boots. 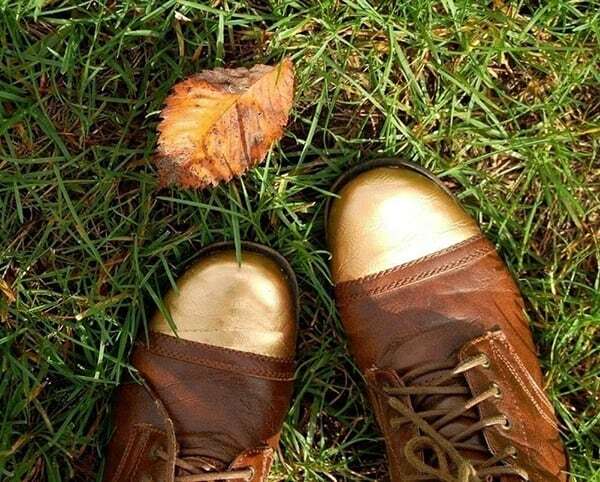 You could do any colour, but many people’s fall boots are brown and gold suits browns of all shades quite well. Have you always loved the look of boots with uniquely shaped silver chrome steel toes, but you find that they’re a little too expensive for your budget? 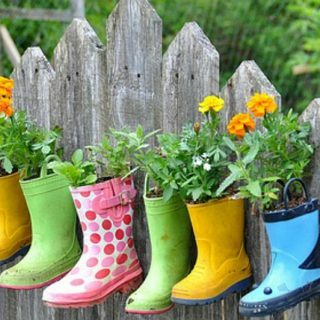 Well, lucky for us DIY enthusiasts, there’s usually a crafty way around that! 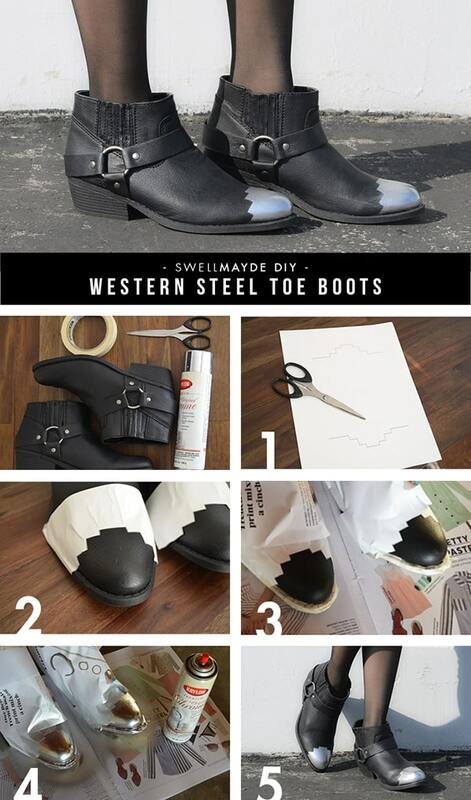 For example, Swell Made used paper and tape to cover the rest of their boots and mark off a geometric edging around the toe so they could spray paint a lovely chrome silver all surface paint across the leather, making it look like a “steel toe” once the shield and stencil were peeled away. 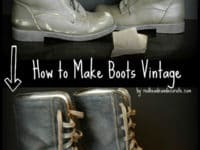 Have you ever owned a pair of boots that were broken in just perfectly, both in terms of how they fit your feet and in terms of how stylishly weathered they looked, but they eventually bit the dust and you had to get rid of them? Don’t worry, we fully understand how difficult that is! New boots are exciting, but there’s something about that well-worn look that just hearkens back to falls gone by for us in a comfortable, nostalgic way. Breaking in your new pair could take the whole season! 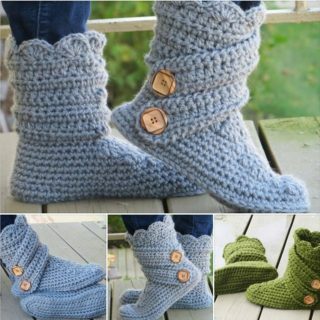 Instead of waiting and scuffing your feet on sidewalks more than you normally would in an attempt to break them in quickly but naturally, follow in Redhead Can Decorate‘s lead and weather your boots on purpose in subtle ways! No one will even be able to tell the difference but you’ll get the aesthetic you love so much immediately. Have you ever seen those gorgeous DIY bracelet designs that loop ribbons through chains and tie around your wrist in a bow? 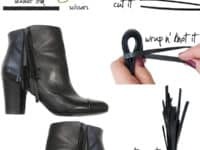 Well, that’s essentially the crafting technique you’ll be using here except that instead of your wrist, you’ll tie the cute little chain accessory around the ankle of your gorgeous new knee high leather boots! 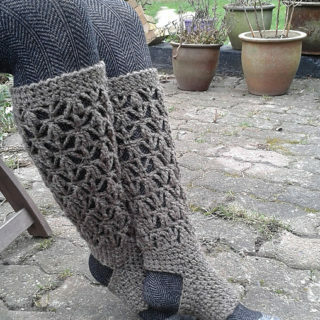 We love the way this idea from PS I Made This jazzes up a classy look just a little bit, giving it a touch of extra glamour in case you want your boots to really stand out. Have you owned a pair of worn leather cowboy boots for years and you just find hat it’s not a style you wear, but you don’t have the heart to get rid of such a quality leather product? 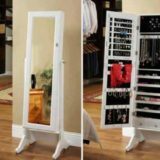 This is another instance where DIY skills save the day! 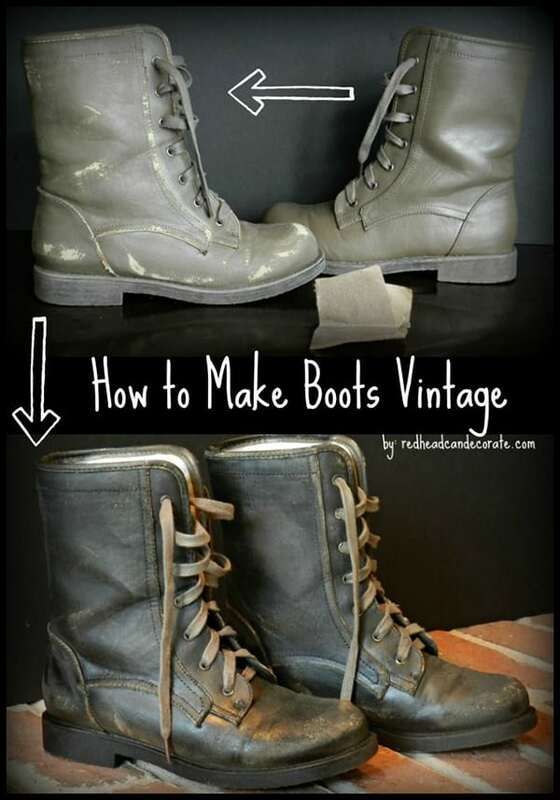 Instead of wasting a perfectly good, likely well made pair of boots, try transforming them into another style that you’ll get a lot more use out of! For example, Mr. Kate guides you through the process of turning cowboy boots into a trendy new pair of folded boots featuring as many embellishments around the ankles as you please. Strips of lace, belts, old jewelry- you can upcycle pretty much anything at this point! 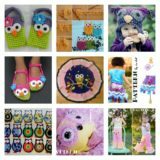 Are your kids attracted to anything cute, brightly coloured, and sparkly? Well, we definitely don’t blame them because we are too! 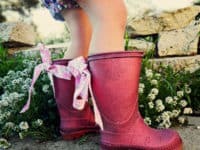 Home, Heart, Craft teaches you how to make a plain old pair of rubber boots into a sparkly pair of princess boots that your child will actually be excited to wear! We’re also completely in love with the ribbons ties on the back of each one. 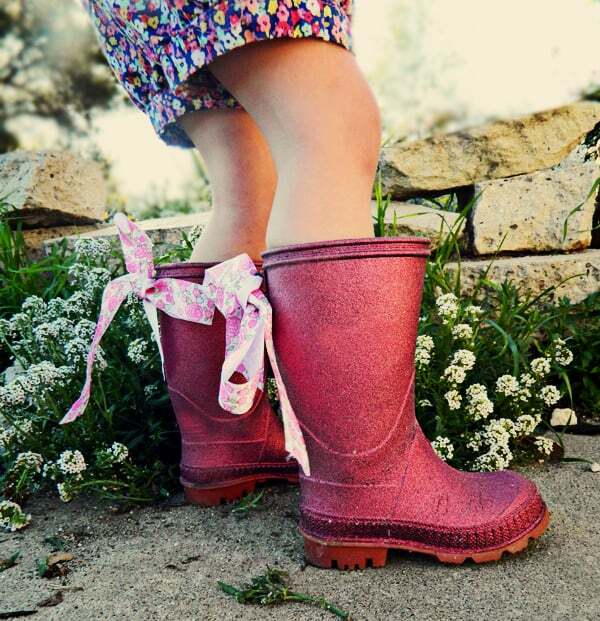 In fact, we’re fully grown but we’d still make ourselves these boots and splash shamelessly through puddles wearing them. Do you own a pair of black leather or pleather boots that you totally love, but that you feel are just missing one tiny hint of style that would really take them to the next level? We’ve been there. 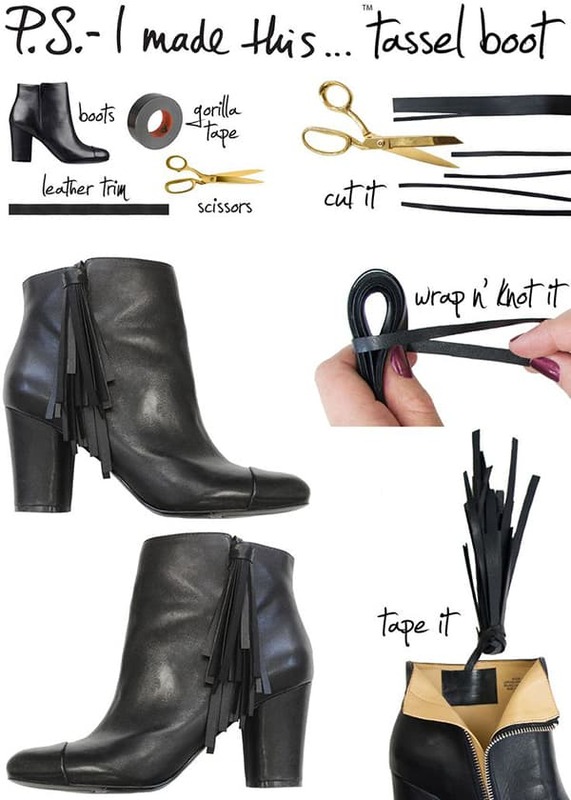 Instead of buying a second pair or letting the nice ones you have sit on the shelf because they’re missing one little thing, try adding a DIY tassel for a little bit of sass! 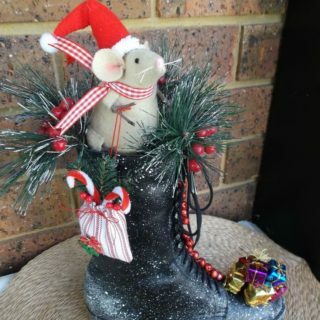 PS I Made This shows you how to make your very own on each boot and it’s an easier and much quicker project than you might think. Did you like the idea of adding a bit of an anklet embellishment to your high leather boots but you’re looking for a piece that’s a little more feminine and sweet than the edgier ribbon and chain look? Try a soft strip of chiffon from an old scarf instead! We love the way Craft Snob has fastened this pretty rose pink piece with a stylish button that complements the colour of the boots. We’ve already talked about several techniques for shortening tall boots into little ankle boots, but what if you want to do the opposite? Perhaps you have a pair of booties or shorter ankle boots that you’d prefer more (and probably get more wear out of) if they were higher- say, up over your knee? 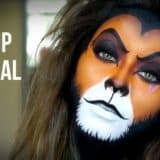 Then Love Maegan has the perfect tutorial for you! They show you all the steps for adding material in a well finished, perfectly bunching style that will complement a skirt, a dress, or jeans. 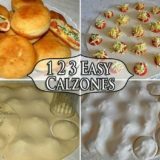 They’ll be so versatile!